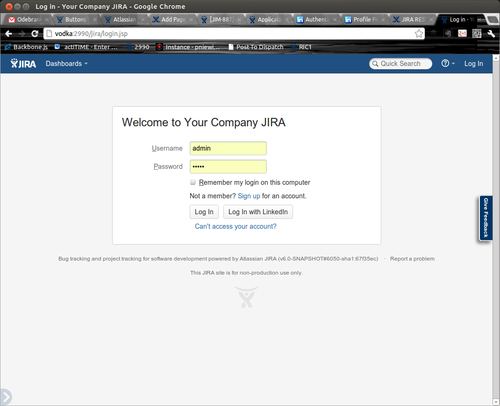 For this ShipIt I wanted to investigate how to ease life of our users by allowing them not to have to remember yet another username/password to access JIRA. Unfortunately that requires a fixed domain name and cross origin headers. Nothing wrong with that but I wanted to make it a plugin that everyone could install (so no prior knowledge of domain name). 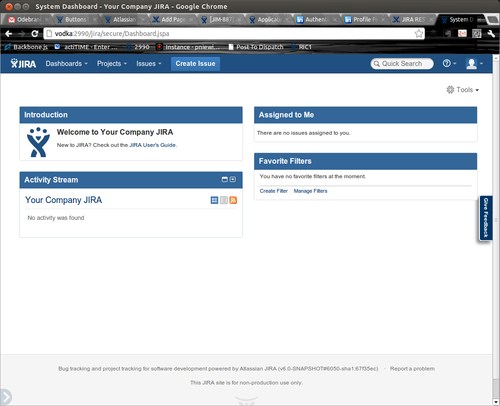 Decided to use some Java client library. 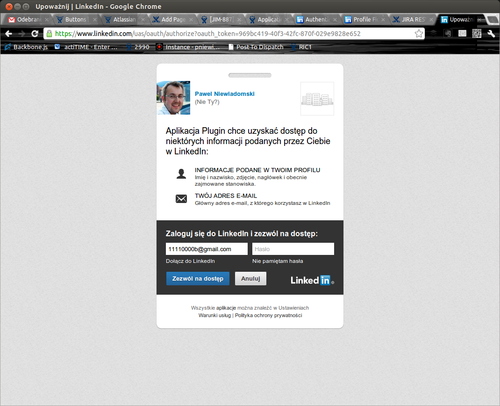 Redirects you to LinkedIn as part of OAuth dance. 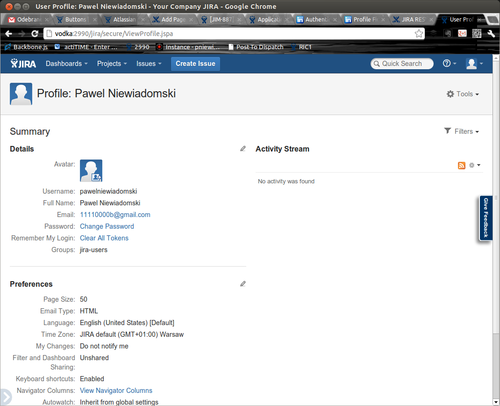 A new fresh account is created for you (if it doesn’t exist) and you’re automatically logged in. Since we now have a user and his OAuth tokens we can do whatever we want (as long as he agrees) - get details from LinkedIn about his connections, publish some updates like new releases, promote issues (like spreading the world to reach more voters), etc.